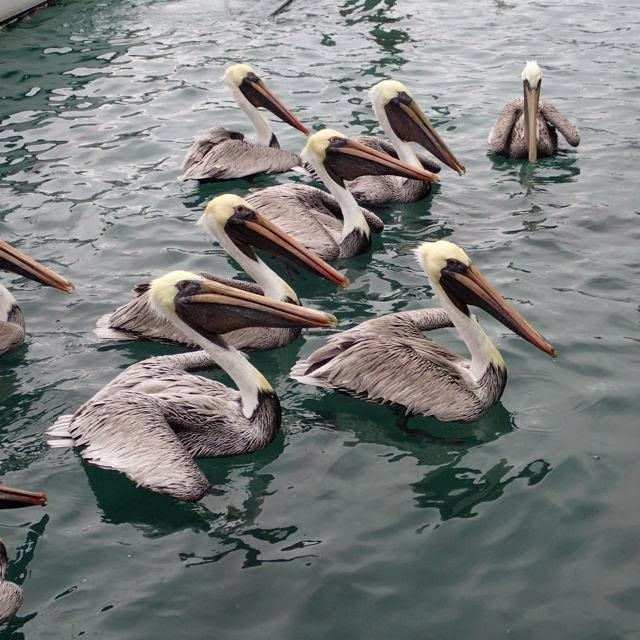 Galley Wench Tales: Pelicans - Placid or PDQ? 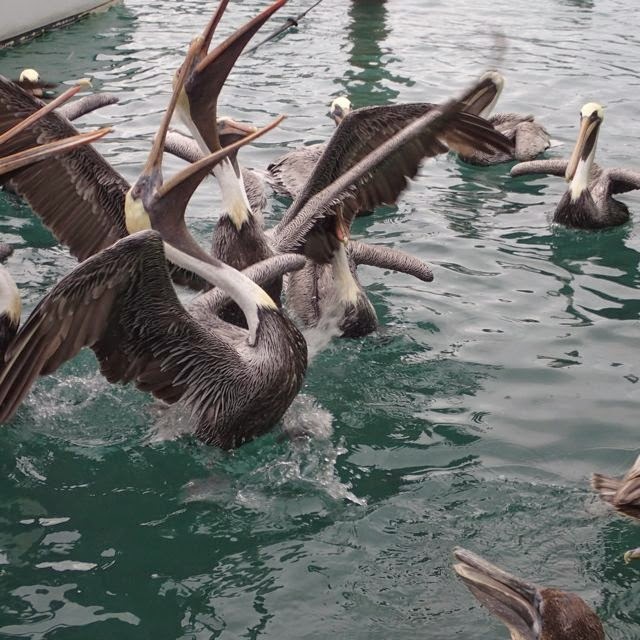 Pelicans' gawky figures belie their alacrity when it comes to landing an easy meal. Case in point, at Conch Harbor Marina, Key West. Want to read more about pelicans? 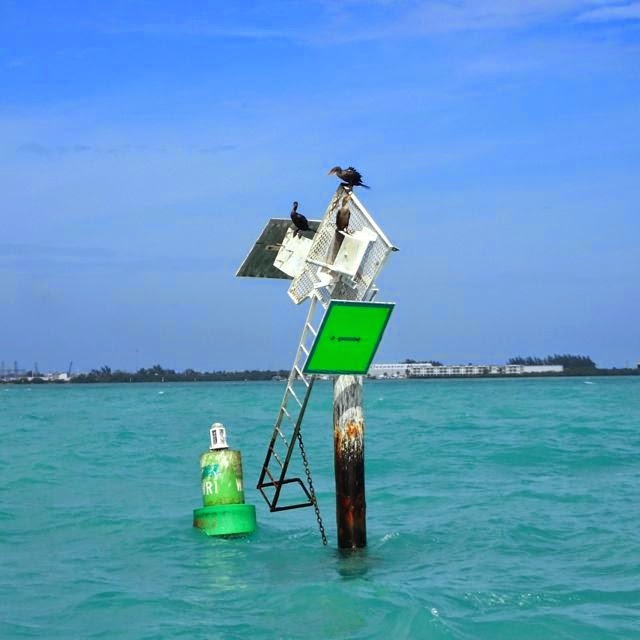 Wrote this 25 December 2014, USA anchored just outside Key West (N24.34.389 W81.48.080) Florida, USA. By the time this posts, we'll be much further along the way to our next "normal" WiFi/internet access on the way to Panama. We'll traverse the Panama Canal as our gateway to the South Pacific.